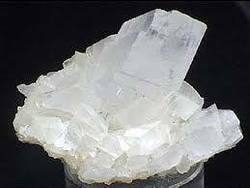 Backed by our team of dexterous professionals, we have emerged as a successful Exporters and Suppliers of Magnesite. It is procured from known vendors of the market. To cater the bulk and urgent requirements of the buyers, we maintain a large stock of the Magnesite in our warehouse. Buyers can obtain it at reasonable rates from us. Contact us today! Located at Coimbatore, Tamil Nadu (India), KAG International started with its business operations in the year 2006. Under the leadership of Mr. K.G Anthony, the Proprietor of the company who has more than 15 years of experience in the domain, we have progressed to sky scrapping heights of success despite of all odds. We have very strict policies to ensure delivery of premium products to the clients. For this, we have a full-fledged quality department where our quality analysts check Minerals, Cement Concrete Pipes and Fresh Coconut before final dispatch to the customers. Hence, we assure customers that with us they get nothing less than the best. We have maintained cordial relations with the clients. We believe in achieving excellence in all fields of our operations, and therefore give higher priority to all the queries of our prestigious customers. We work for the industries with dedication and commitment to ensure complete customer satisfaction. We have spread our network base all across the world. We supply our Minerals, Cement Concrete Pipes and Fresh Coconut to domestic as well as global market. Some of the regions where we supply our quality products include Sri Lanka and U.A.E.